This is the interface of You Need a Budget, one of the budgeting apps I’m trying out currently. What free or low-cost software/apps do you recommend to track your spending habits? There are so many out there to choose from and some are overly complicated and others require too much work. Let’s check out a few of them and talk about how to choose. Your credit union or bank probably has an app that allows you to create a budget and track your spending. The challenge, which is true for most apps, is that getting set up can be time consuming. If most of your transactions are electronic, like cards or automatic transfers, this may be the best choice for you since most of your income and expenses will be captured. If you use a lot of cash or other cards, Mint might be a better option. Mint is one of the most well known apps and it’s owned by Intuit. One of the strengths of Mint is that it allows you to aggregate all of your accounts (including your bank, credit, investments, and even the value of your other assets), so you have a built-in balance sheet. Mint is still free, but they try to sell products, so beware of that if you choose this app. 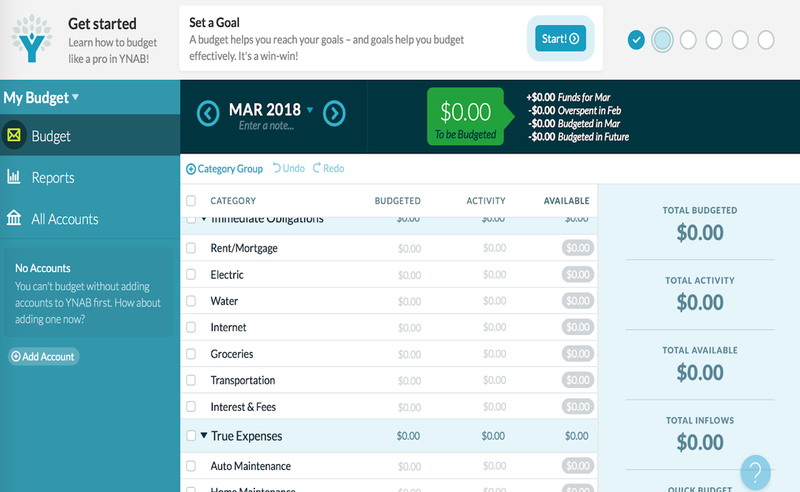 I’m checking out You Need A Budget, affectionately called YNAB, again for the 34 day trial. There is some setup (6 “easy” steps) and it is NOT free, but the cost may be worth it if you are willing to “give every dollar a job” and consult the app BEFORE you make a purchase. This is actually the real value of YNAB: being able to easily check your budget before you spend. So, how do you decide? First of all, it is great that there are many good apps to help you track your spending – but the best app is the one that works for you. Check out the few we have talked about here and choose one to try. If you find that in 60 days you aren’t satisfied, try another one (think of it as a “Plan B”) and remember that the point is to find a system that works for you. Be gentle with yourself during the set up. It doesn’t have to be perfect to be helpful. Start with your living expenses (what you must pay) and add your lifestyle expenses (what you choose to spend) over a month or two. Keep in mind that you are building new habits and that can take time. Practice makes better. Let me know which one(s) you choose to try. If you are joining me on the YNAB trial period, let me know what you think and I’ll do the same at the end of my 34 day trial.